A makeup artist based in Serbia transforms herself into an incredible &apos;Grinch&apos; with the aid of make up, body paint, and a red and white scarf, with uncanny results. 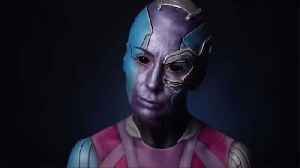 By Federico Cornetto and Chanel Livesey A talented body painting artist turned herself into the Marvel villain Nebula before visiting a supermarket. 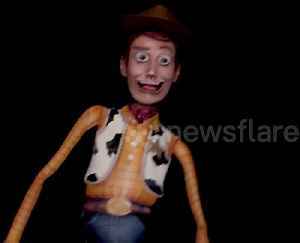 Make-up artist Mirjana Kika Milosevic, from..
Make-up artist Mirjana Kika Milosev turns her body into Woody from the popular Toy Story franchise. Make-up artist Mirjana Kika Milosev turns her body into Oscar from the Shark Tale movie using just body paint. 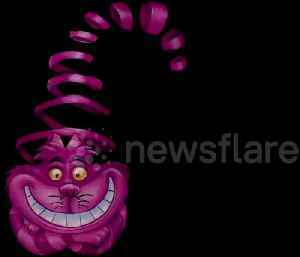 The footage, captured on March 15, shows Mirjana painting her own body to create an..
An awesome stop-motion video created by a Serbian artist shows her creating a grinning Cheshire Cat on her torso, which appears to move around in the dark.